Boy did I overestimate the size of our newly cut garden! As my husband always says, “Go big or go home!” I’m not quite sure this should have applied to the garden space but it definitely leaves me room to be creative. After raiding my entire seed book the garden is finally planted. Some seeds were 2-3 years old but it’s what I had on hand and considering our house remodel situation, I was not going to run myself ragged hunting down new seed. 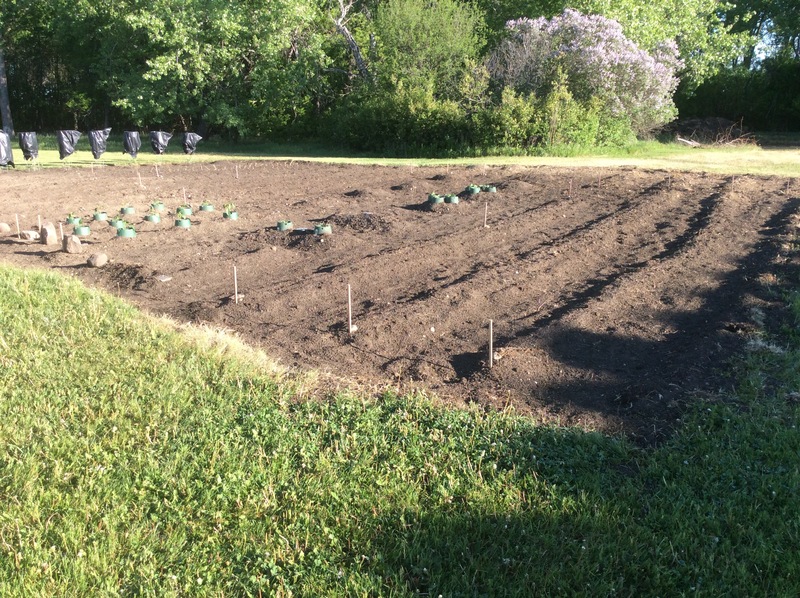 If they come up we will have a plethora of vegetables ranging from okra to pak choy along with the usual green beans, cucumbers and the like. Our planting day left us dirty, wind blown (30+ mph winds) and oh so tired. As the winds grew stronger, contractor bags came to the rescue of our tomato plants. The next day brought with it some much needed rain along with a big wallop of hail. Of course this was AFTER I had just put in some pepper plants I specifically waited to plant until after the winds died down to avoid damage. I’ve never been a stranger to Mother Nature’s quirks; fortunately for us, the garden survived with only a few leaves lost. 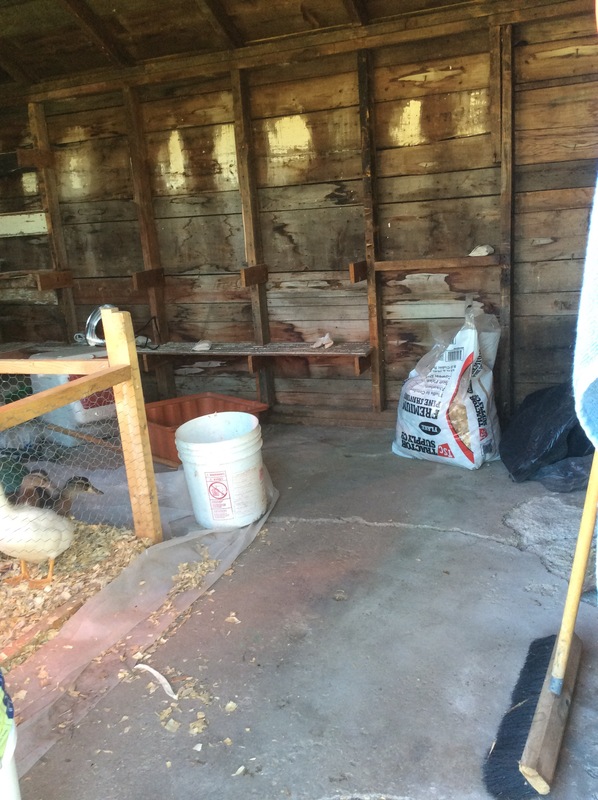 On to my next goal of the week – prepping the potter’s shed to become an awesomely functional chicken coop. Deep down I know it’s a great decision but clearing it out is a pretty good sized chore. So far my tool usage has consisted of a saws-all to remove an old work bench, a sledge hammer to remove one wall of well built shelving and a hammer to pull hundreds of nails sticking out from every (and I do mean every) surface. Once the demo is complete on the coop interior I can start the repair and set up. Cracks in the cement floor need to be filled, nesting boxes and roosting areas need to be installed. Lucky animals, their house will be finished long before my own! Onward into week 4 I go!